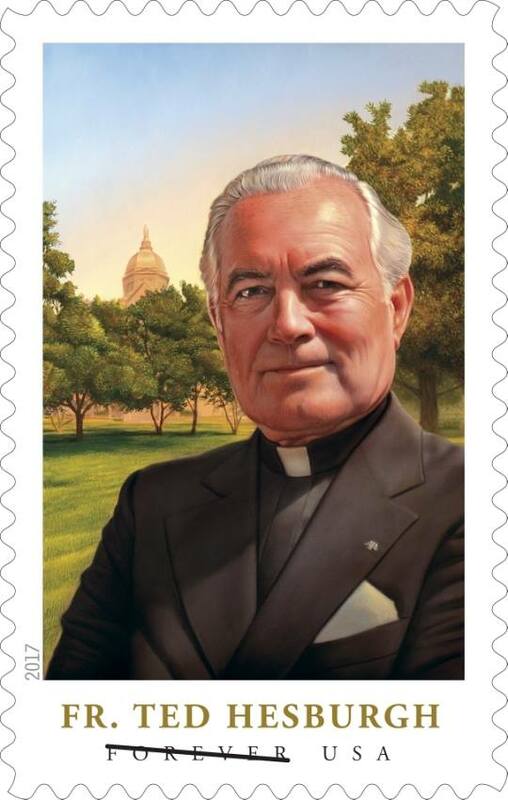 A new US postage stamp honours Fr Theodore Hesburgh CSC, long-time Notre Dame University president, who was a pioneer promoter of specialised Catholic Action. I was privileged to arrive at Notre Dame at a time when Father (later Archbishop) John O’Hara, CSC, Father Louis J. Putz, CSC, and a group of other priests and lay leaders at Notre Dame were vigorously questioning the adequacy of such a faith. By founding the Young Christian Students, the Christian Family Movement, Catholic Worker chapters, community outreach programs, and countless other Catholic Action groups, these visionary leaders both challenged and empowered faithful laypersons to infuse Christian values and Christian compassion throughout all areas of daily life. Their efforts were fostered by Father Theodore M. Hesburgh, CSC, who consistently initiated, strengthened, and defended Notre Dame’s social mission throughout his 35-year presidency of the University, and by Father Edward A. Malloy, C.S.C., who continues to build upon and extend this vision. 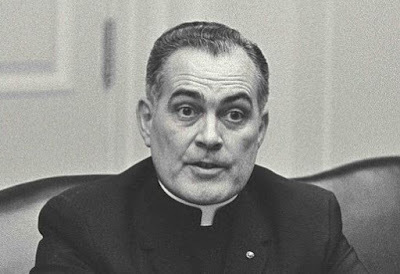 Indeed, Fr Hesburgh was one of a whole generation of CSC priests who promoted the YCW and other specialised Catholic Action movements. Also part of this generation was the Panamanian Archbishop Marcos McGrath CSC, one of the driving forces behind the adoption of the See Judge Act method in the Vatican II Pastoral Constitution on the Church in the World of Today, Gaudium et Spes.